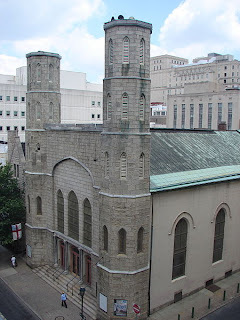 Built 1822-23, this Episcopal church was designed by architect William Strickland in the emerging Gothic revival style. 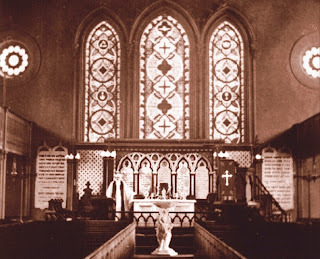 The original reredos in 1860. The church underwent extensive renovations in 1878 under the direction of Frank Furness and it was at this time that it was decorated in the high Victorian style. Henry Holiday designed the cartoon for the altar reredos that was completed in July 1888 and unveiled in January 1889. Measuring twelve by five feet, it was executed mostly by Salviati's mosaicists, although all of the heads were personally done by Holiday and his wife. 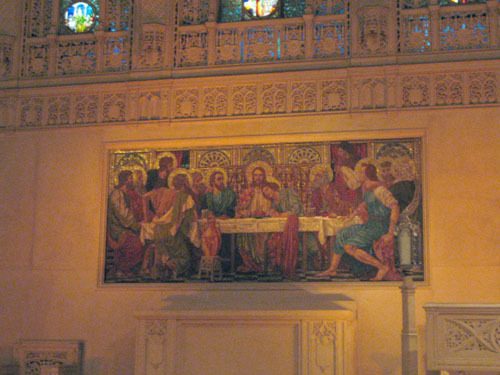 It contains over 180,000 tesserae depicting The Last Supper and it is very similar to Holiday's reredos in St. Chad's Church in Kirkby, England. Incidentally, the church was built on the site where Benjamin Franklin famously flew his kite. 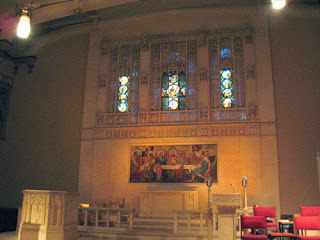 Wright, John. 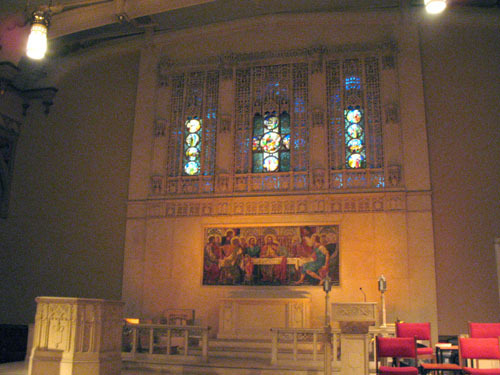 Some notable altars in the Church of England and the American Episcopal Church. New York: The MacMillan Company, 1908. 277.